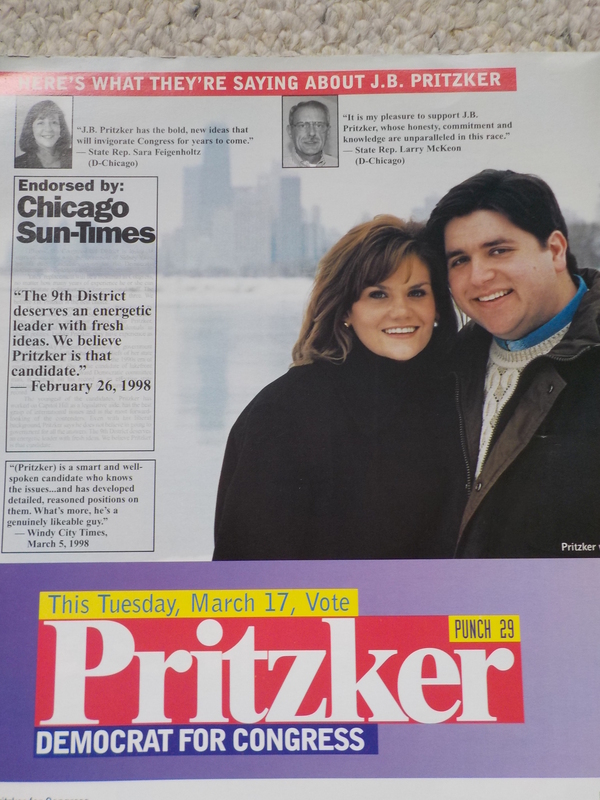 Following Congressman Sid Yates's 1998 decision to retire, JB Pritzker threw his hat in the ring, along with State Sen. Howie Carroll and State Rep. Jan Schakowsky. A 3-way brawl. 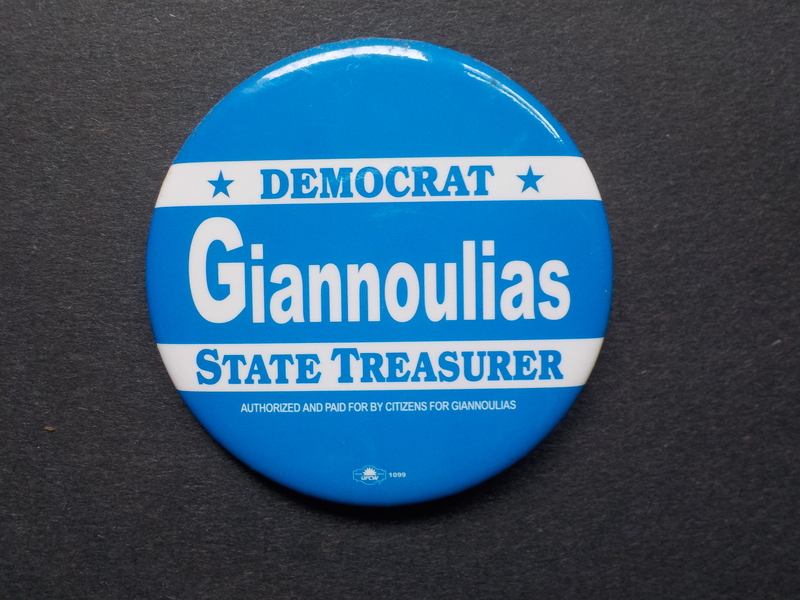 Election Day was sleety. 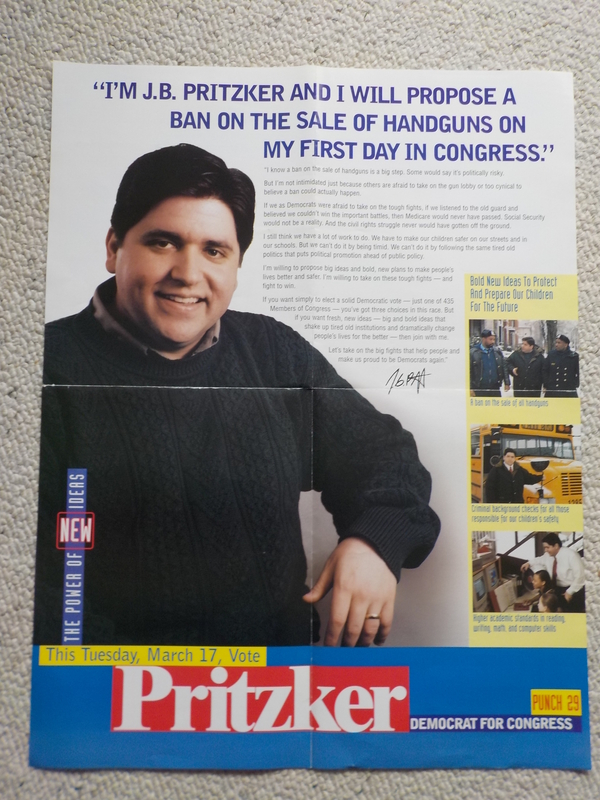 As a volunteer for Jan, I could see Howie's old Machine guys were staying warm inside the polls and many of JB's hired hands disappeared. 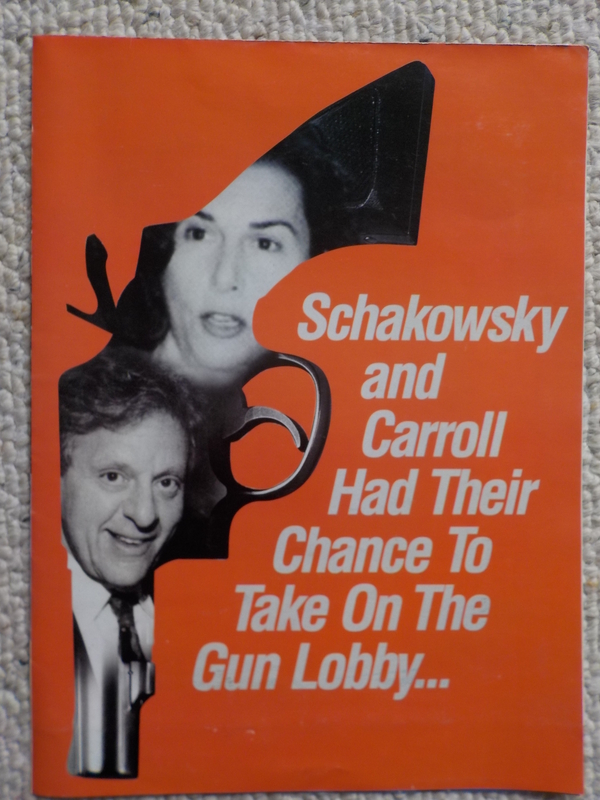 Schakowsky won and has held the seat ever since. 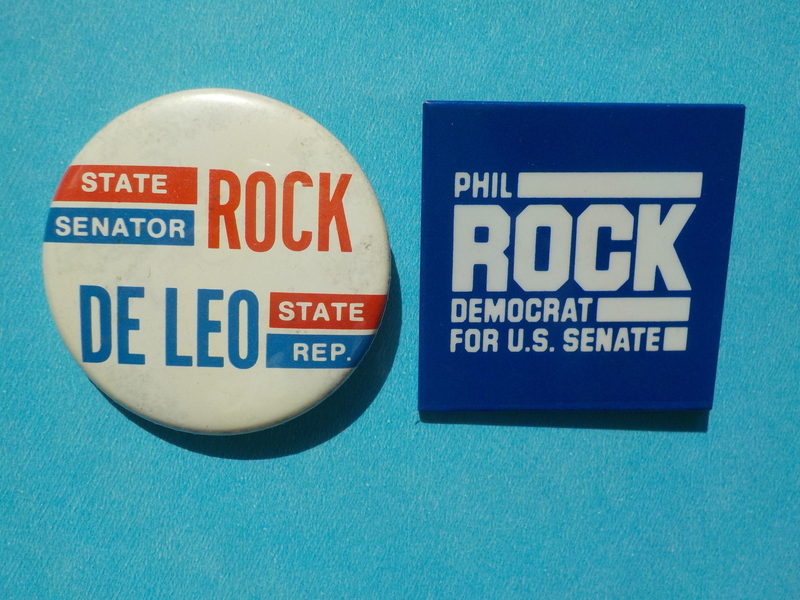 The value of a strong ground game. 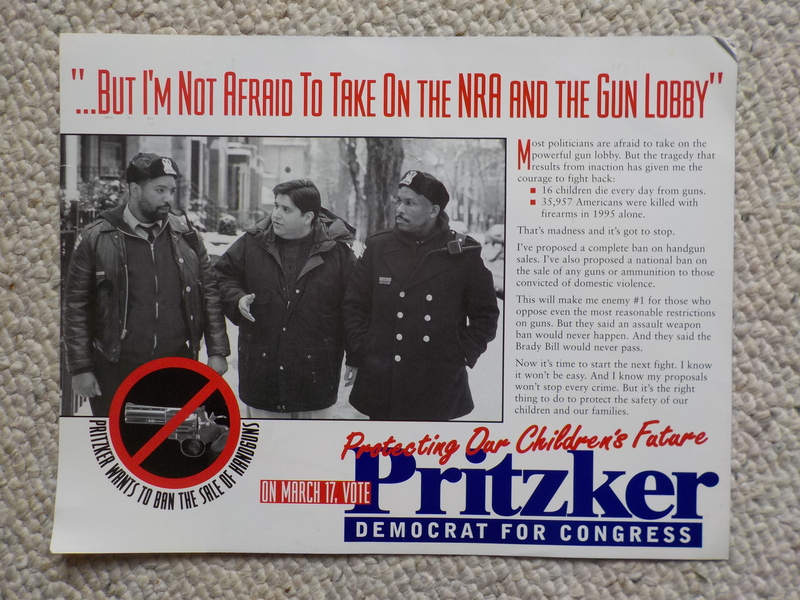 Pritzker's 1998 mailers proclaim he's "not afraid to take on the NRA". He'll have a chance to prove that soon enough. 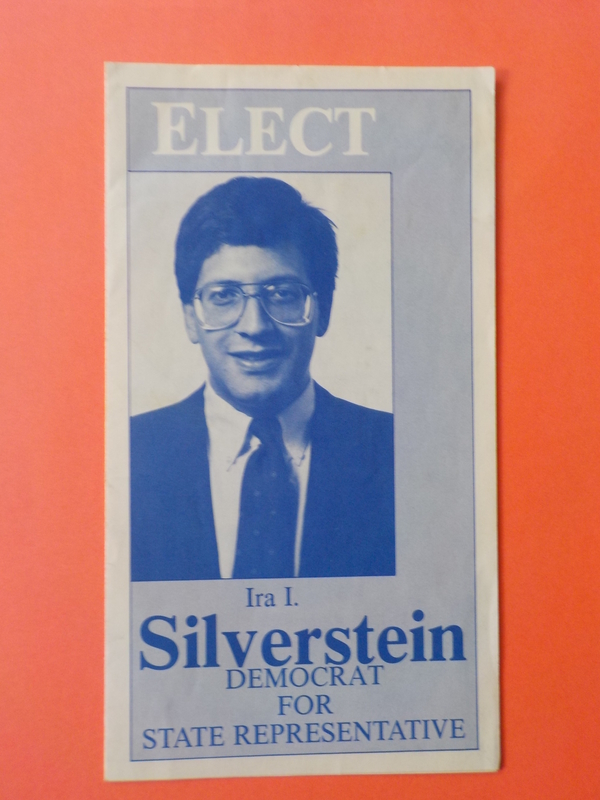 (Note he was using the "big" line even then.) 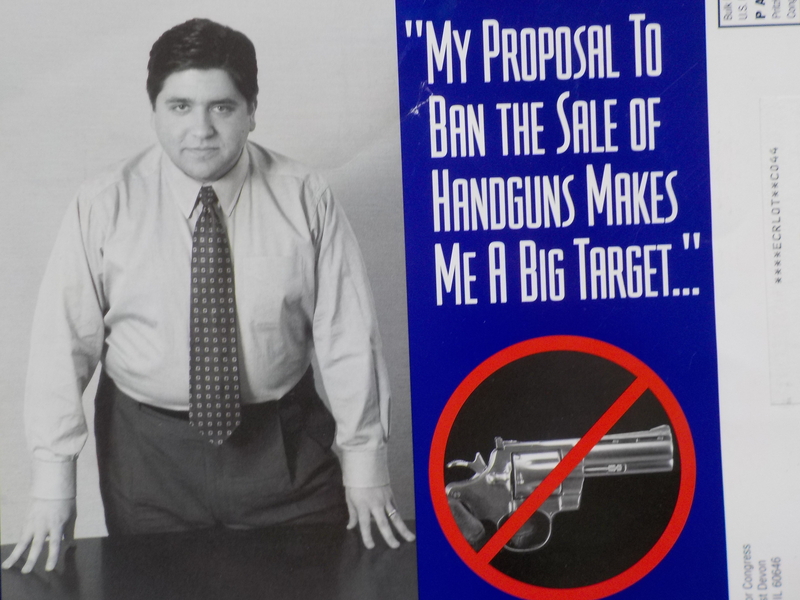 I gotta say: the man looks pretty much the same now as in '98. 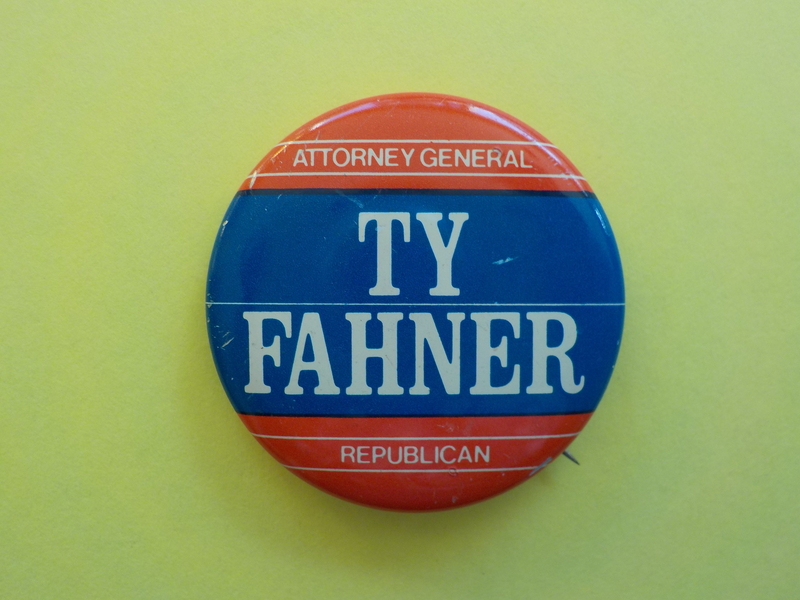 I thought the logo for Fred Lebed's brief Comptroller race (against young Dan Hynes) was clever and witty. 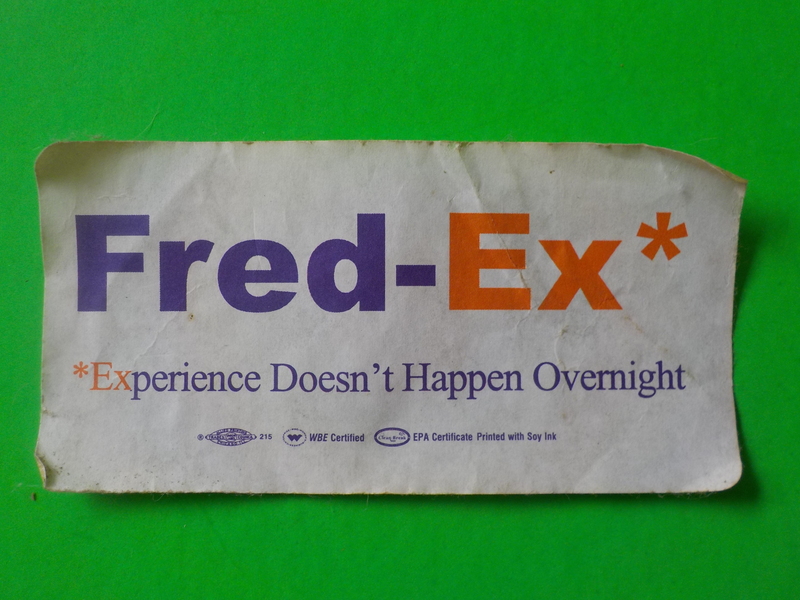 FedEx apparently didn't. NO NO NO! 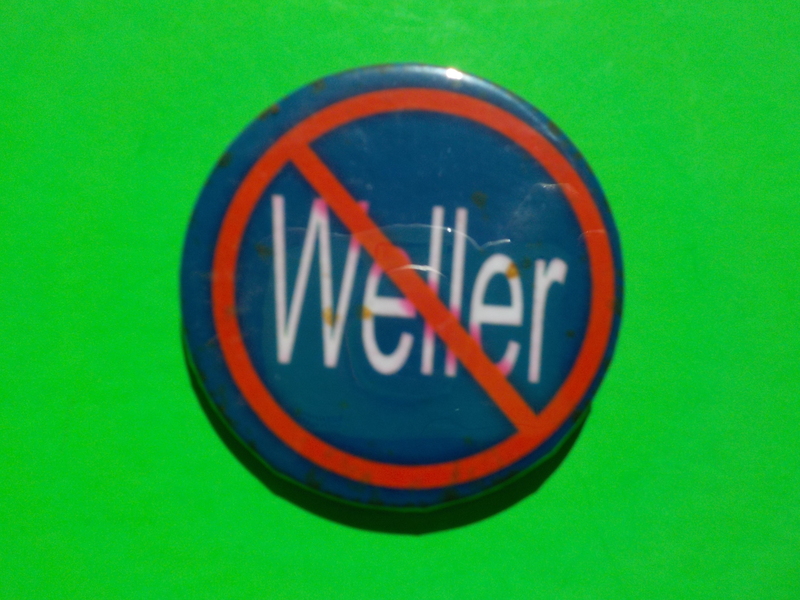 Jerry Weller was raised on a hog farm, served 7 terms in Congress and wed the daughter of a Nicaraguan dictator. 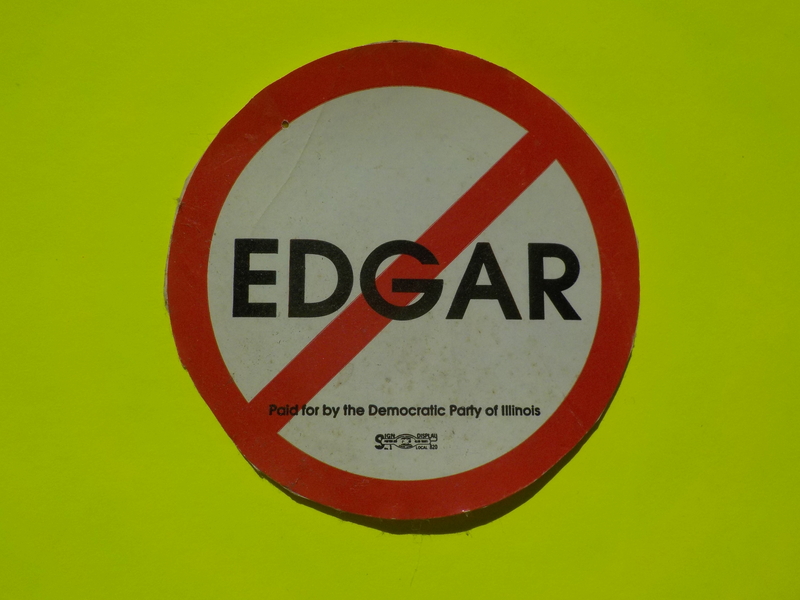 For more on Edgar, visit Gallery #9: Ex-Guvs (Unjailed Variety). "No Bozo" courtesy Busy Beaver Museum. 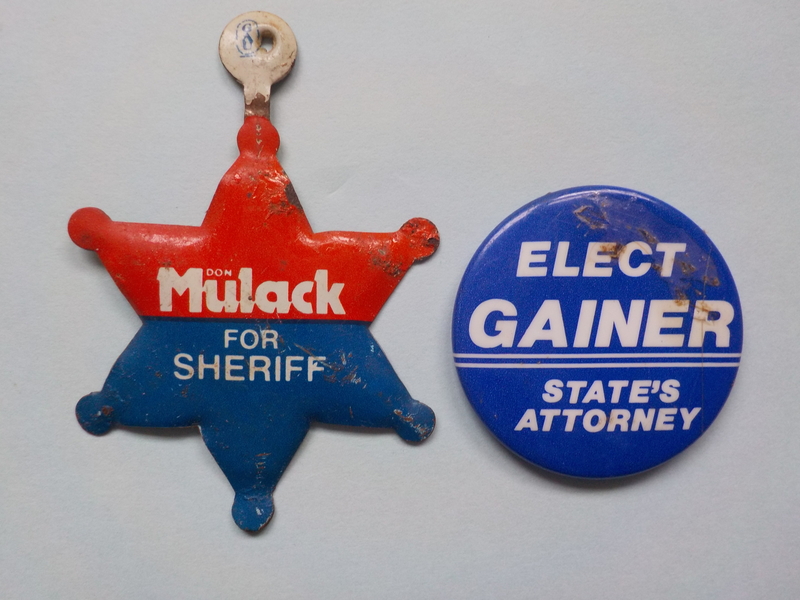 Three who ran and lost but would've been stellar Congressmen. 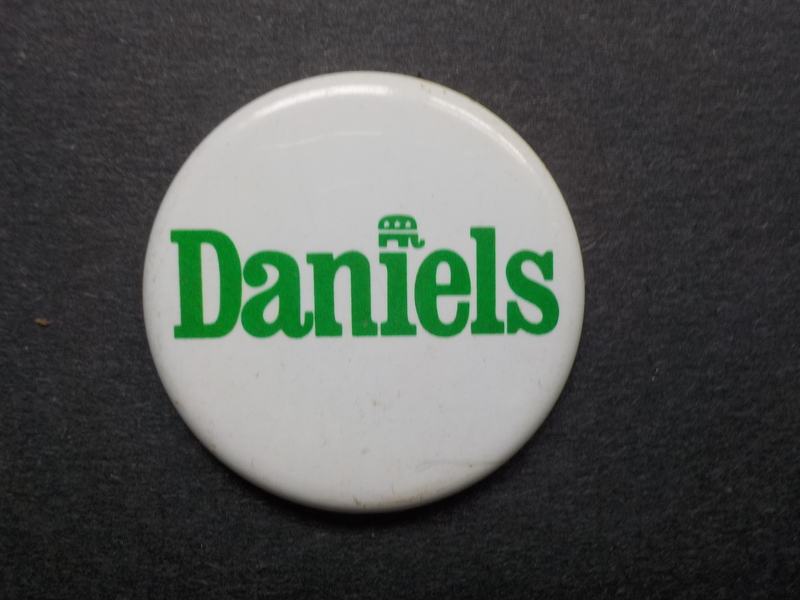 FULL DISCLOSURE: This author knew them all, was Field/Media Director for Pressl's tough race against Cong. 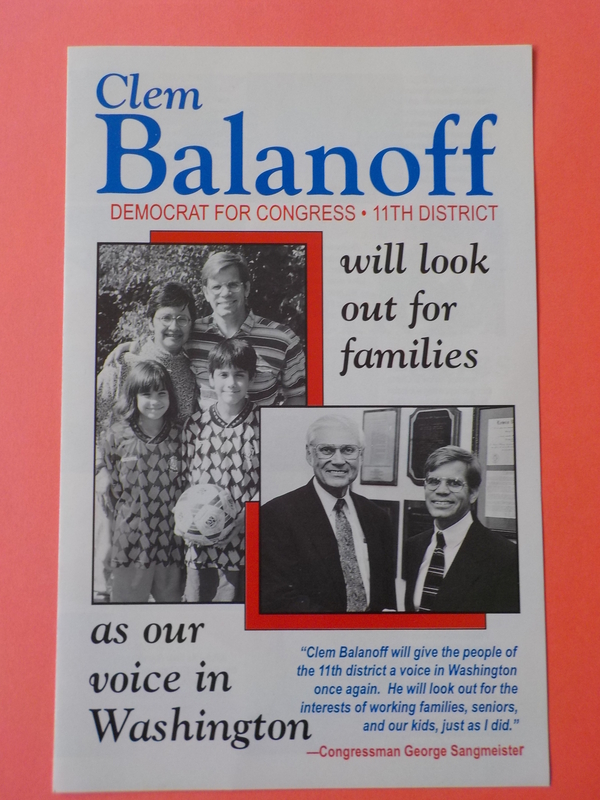 Phil Crane (See Gallery #30 - Lagniappes), and hung out with Bill Adelman's daughter in the '70s. 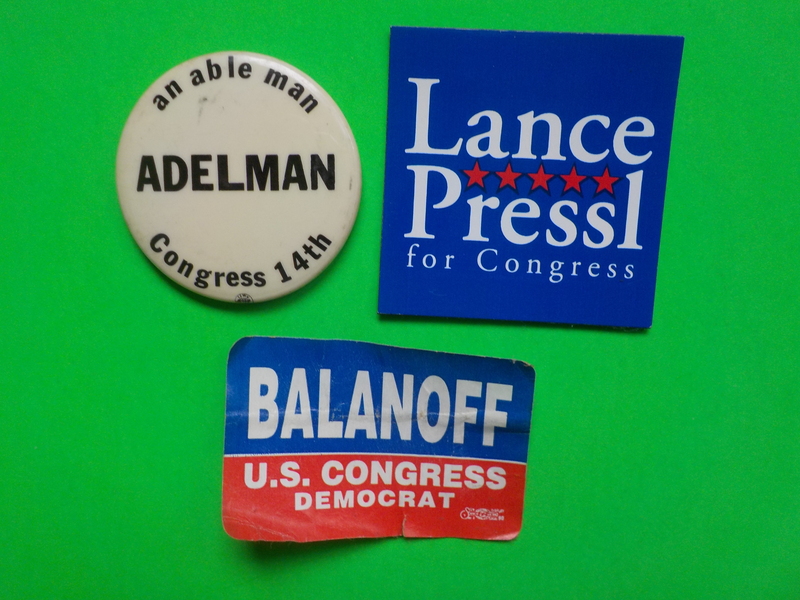 Adelman - "an able man" - was a noted labor historian and DuPage Dem when those were few. This author knew Roger at NIU. 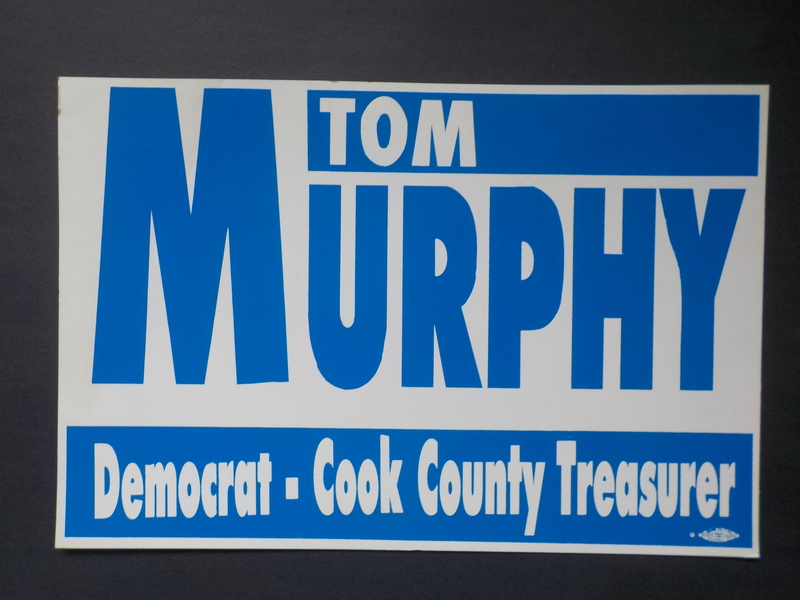 Very smart, genuine guy who had a good career in DuPage County government and is now a storyteller-musician. 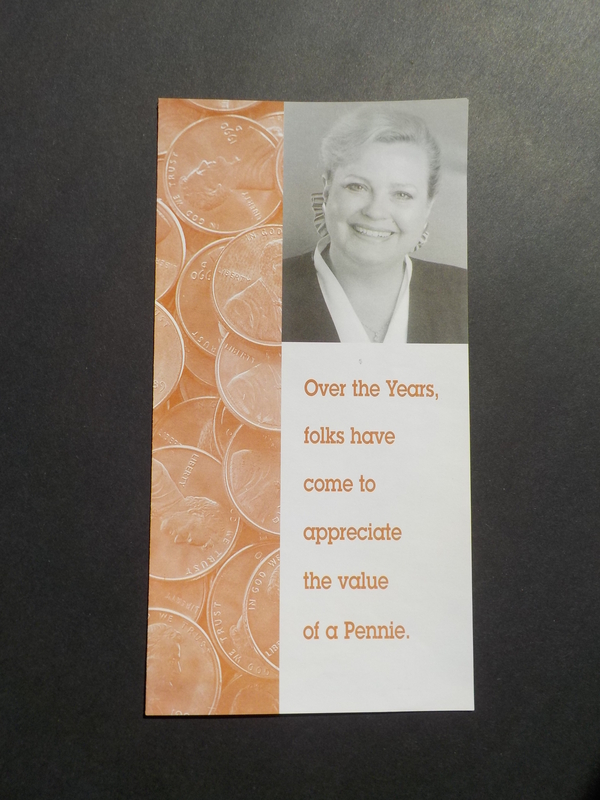 Dem activist Pennie von Bergen Wessels won a House seat in Deep Red NW Illinois by about 300 votes in '92, then lost in '94 (also by about 300 votes). 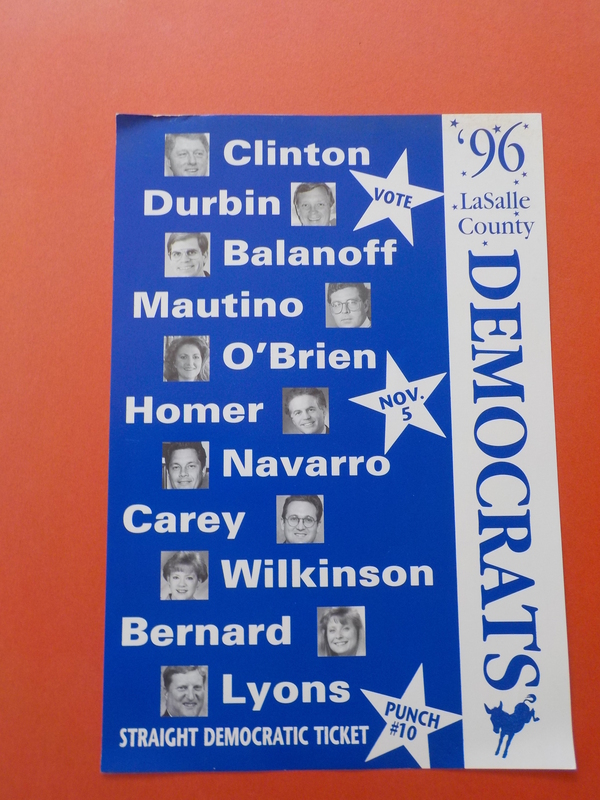 She had represented that area of Illinois on the Citizens Utility Board (CUB); one of this author's favorite people in politics. 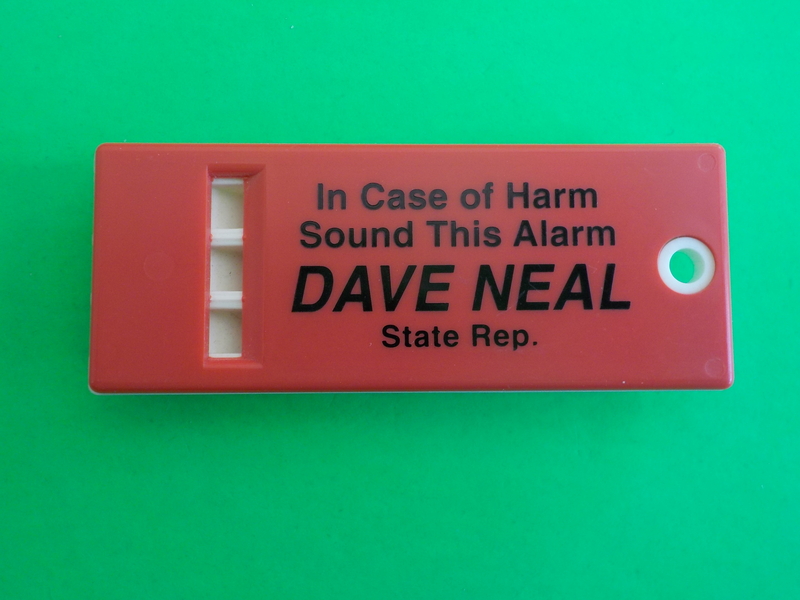 Dave Neal (Grundy County pol, not the Lite Guv who resigned from boredom). 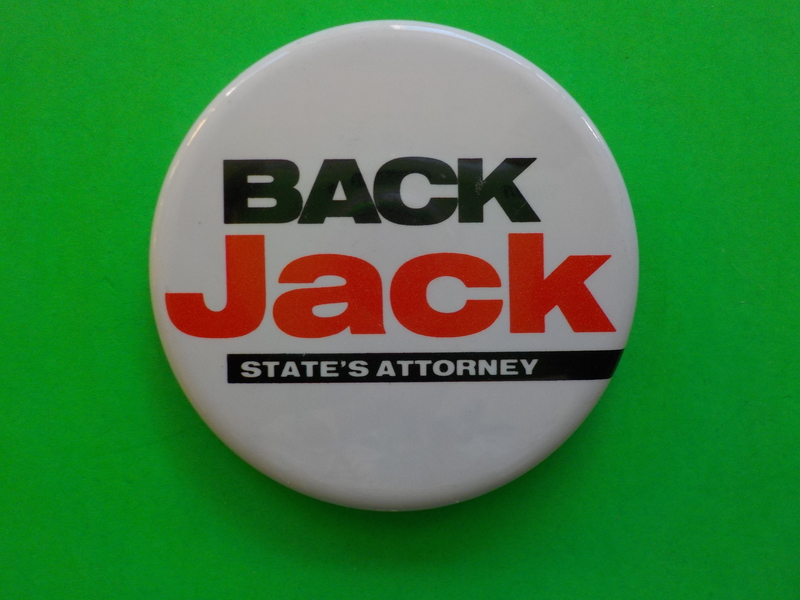 Shoulda read "Be a Whistleblower!" 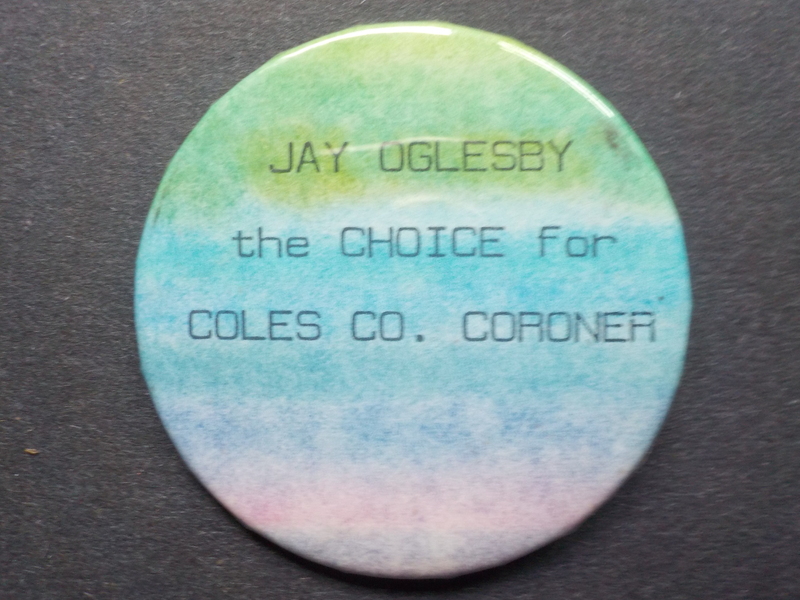 Love that dreamy pastel Coroner's button. 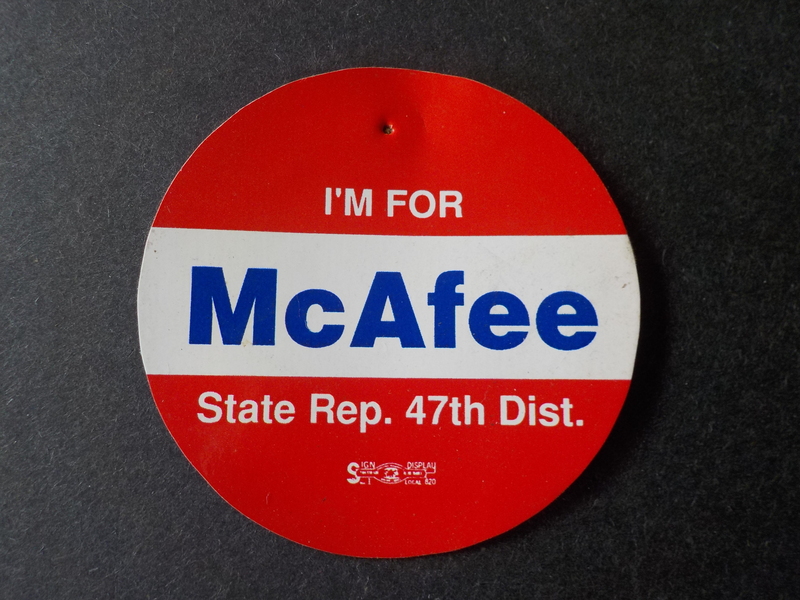 Before becoming Mayor of Indian Head Park and State Rep from the SW Suburbs, Dave McAfee was an inventor, creating (I think) the pop-top aluminum can. Three Claude Walkers (see the resemblance?) Permit the indulgence. 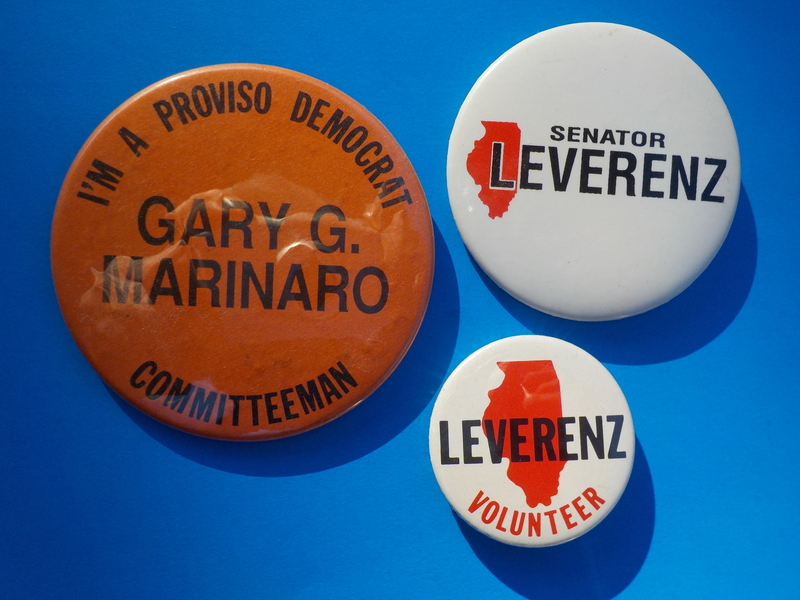 Pop, Dad & I batted 3 for 7 in State House races in 3 different parts of Illinois. 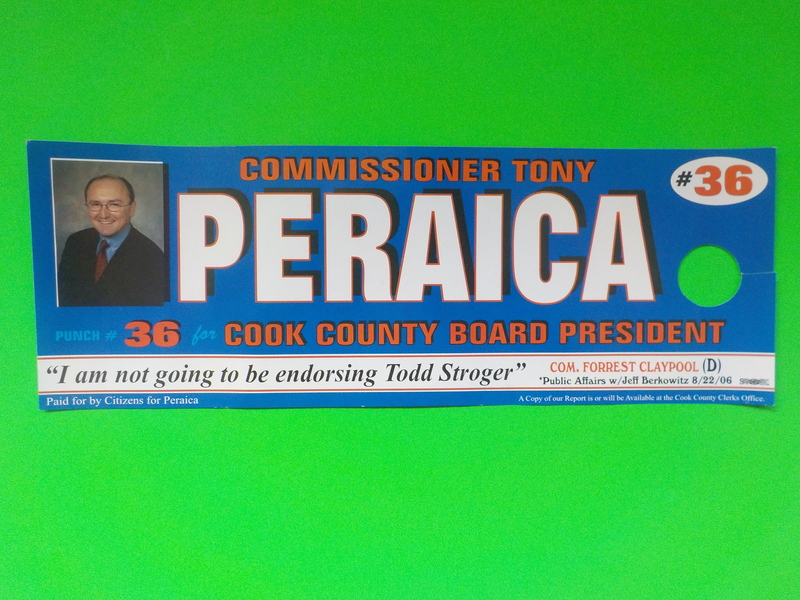 After serving 3 terms representing parts of Cook County's Proviso & Berwyn Townships, Pop lost in the infamous statewide at-large "bed-sheet ballot". 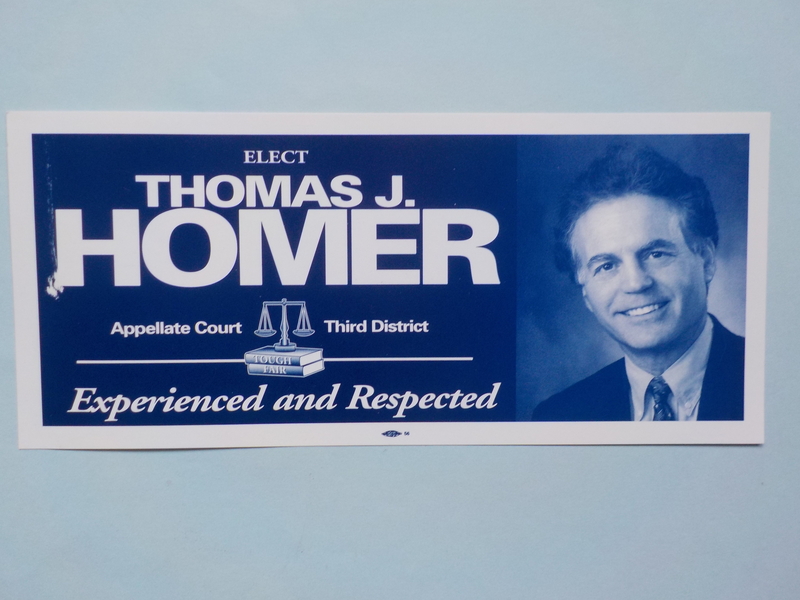 According to family lore, Pop punched out a lobbyist in a Springfield elevator. 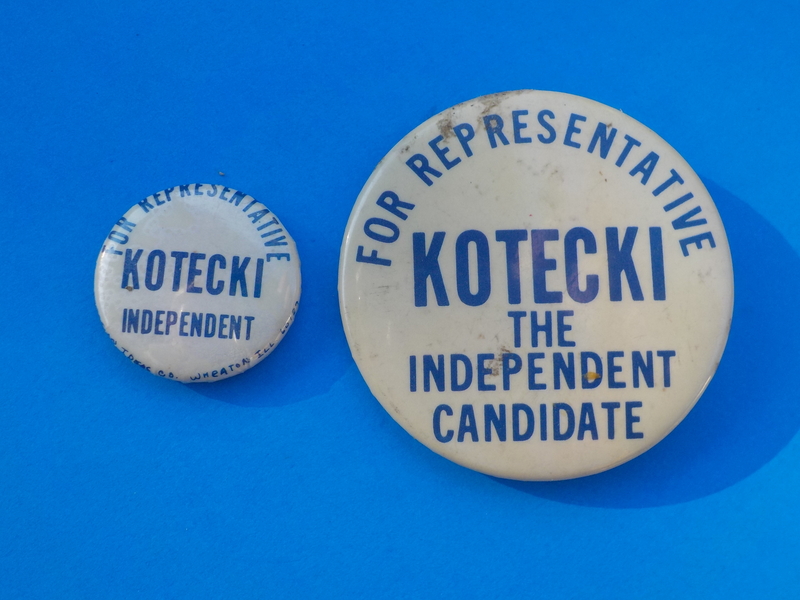 The guy supposedly muttered something about Pop being a "dumb Polack"...Pop (an ex-semi-pro linebacker and past Prez of the Illinois Newspaper Association) reportedly replied, "Not so dumb." 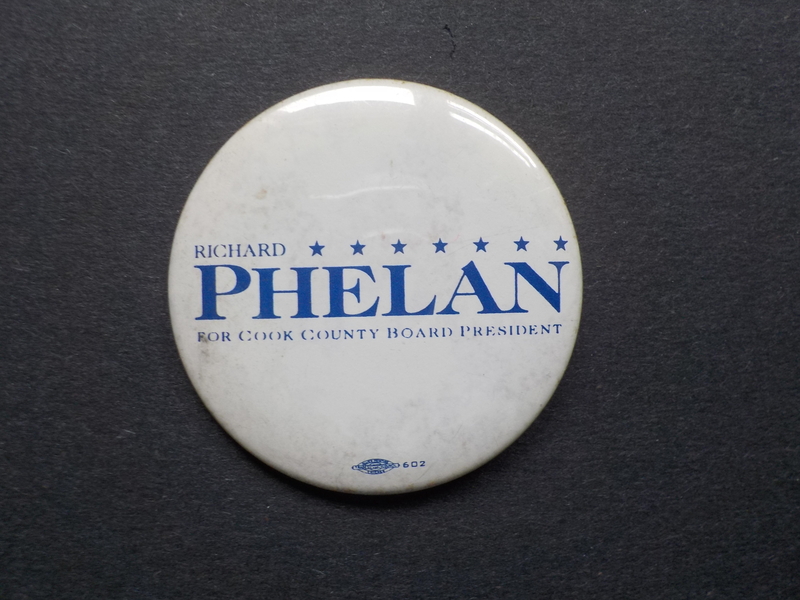 Elected to the DuPage County Board at 31, Dad represented Addison & York Townships for 6 years, then lost a House race to Pate Philip (who went on to be Senate Prez). 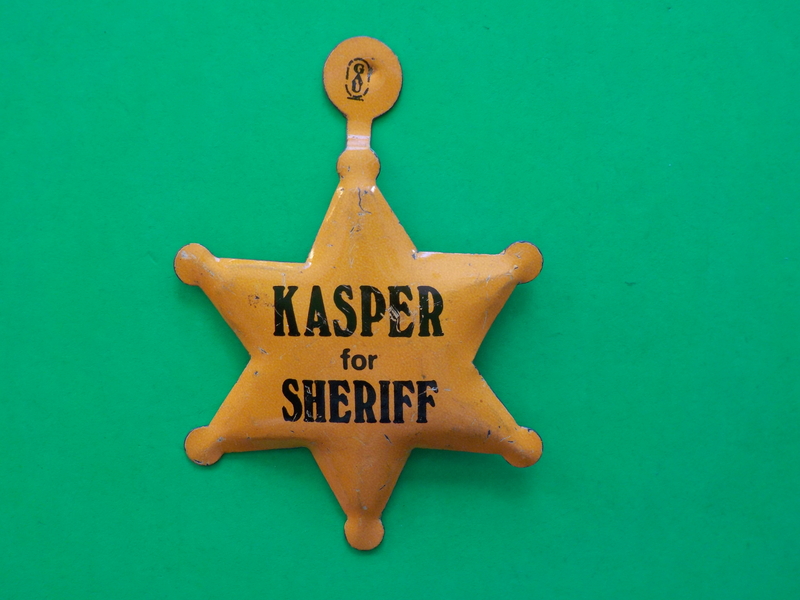 See Gallery #30 "Lagniappes". 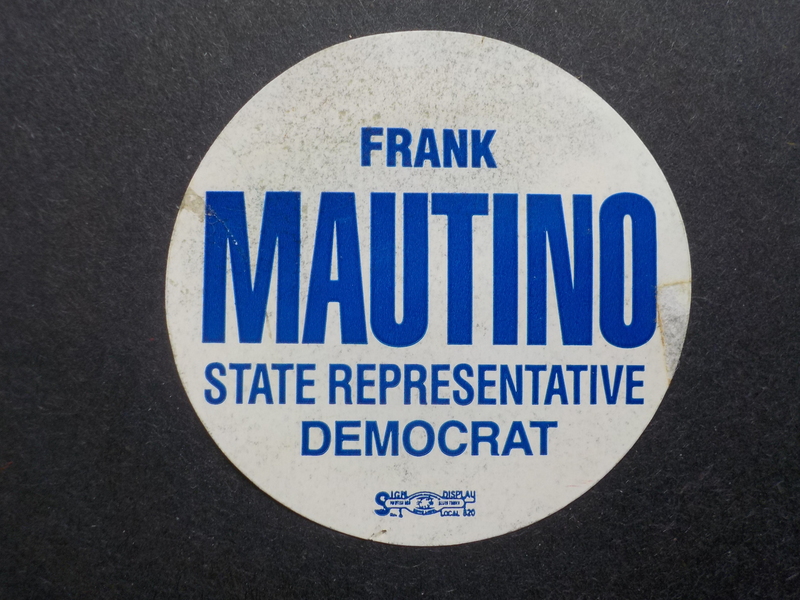 I ran twice (16 years apart) in a District including Chicago's East and West Rogers Park & Edgewater neighborhoods, both times against incumbents who were sons of Machine stalwarts (am I a dope or what?) 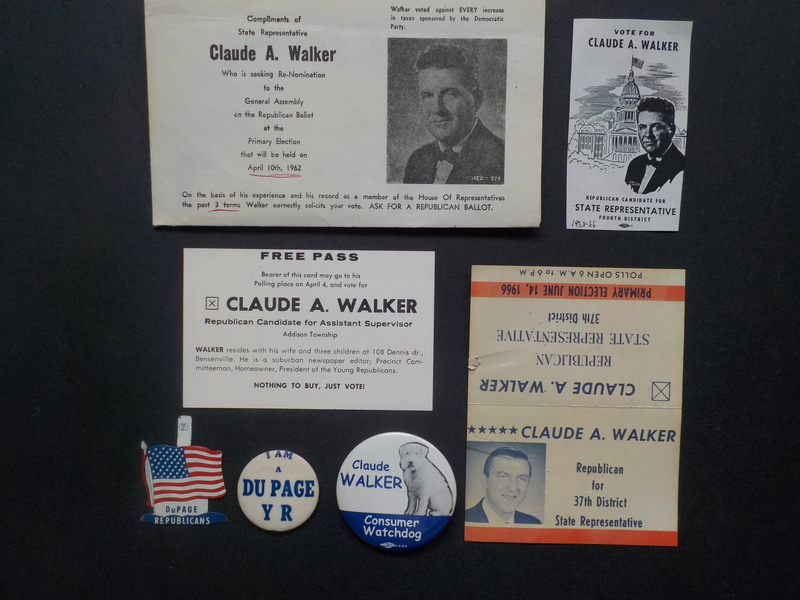 The Attorney General of the Virgin Islands is named Claude Walker, as well as a past Alabama lawmaker and late East Knoxville park commish...no relations.